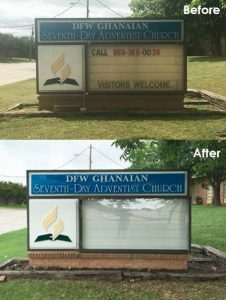 Drive attendance and make your facility easy to navigate with attractive, cohesive church signs by Chicago Sign Company! Whether your congregation and facilities are large or small, Chicago Sign Company the right signage solutions for your needs. 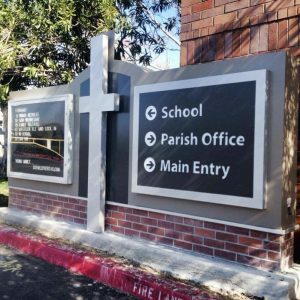 Chicago Sign Company creates custom monument signs, announcement boards, yard signs, promotional event signage, building signs, custom crosses, and any other custom church signage you may need to get the word out about who you are and what you have to offer. Chicago Sign Company is a full-service sign company, providing complete signage services from design-installation. Our experienced and dedicated team are able to handle even the most complex jobs, including complete signage renovations, new facility signage, or single supporting elements to complement your existing signage. 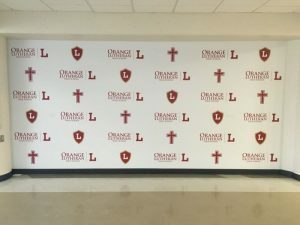 Chicago Sign Company is your local church signs provider, creating the impactful, attractive, and informative signs you need to support your congregation. 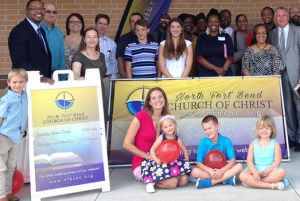 We look forward to becoming your sole signage provider for all of your church signage needs! Call Chicago Sign Company today at (312) 626-3766 for a Free Consultation with a Church Signs Specialist!